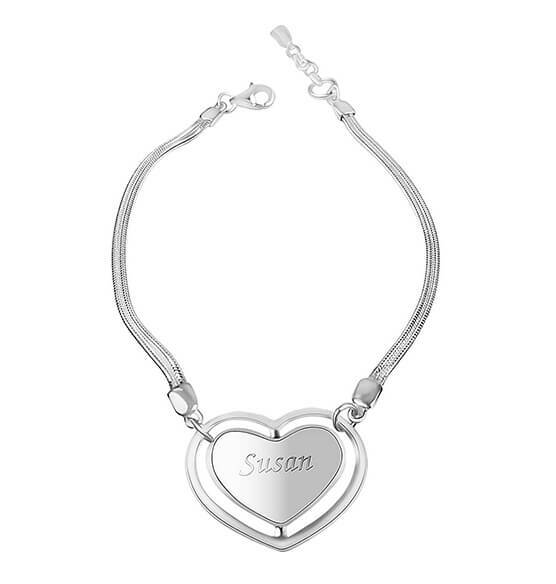 There's so much to love about this Personalized Sterling Silver Heart Bracelet! Adds shimmering style to any outfit. Chain features a heart that can be personalized. Specify name. Makes a truly personal gift!